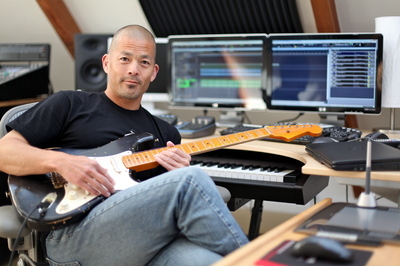 Get Me Out - Theme song for "Jail"
Jon Lee is a film and TV composer/Hip-hop producer based in Santa Monica, California. Jon is a graduate of the Thornton School of Music at USC, Scoring for Motion Picture and Television Program. Jon currently writes the music for the TV show, Jail: Las Vegas, which will air beginning January 10, 2015 on Spike TV. Jon recently completed the score for an ESPN 30 for 30 film called "Air Congo: The Return of Serge Ibaka," which will premier in March at the SXSW Festival in Austin, TX. Jon has written the score for 10 feature films and also works with Hip Hop artists in Los Angeles, Florida and NY creating songs for film and television.